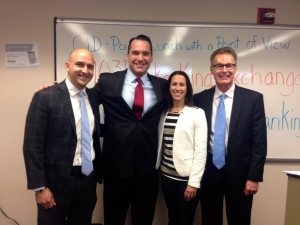 Our second CID Power Lunch took place today. Ken Shore from Wells Fargo gave an excellent presentation on 1031 Exchanges and answered many questions from the NHMR audience. Our next event will take place June 11th, and focus on recent environmental issues in commercial real estate.